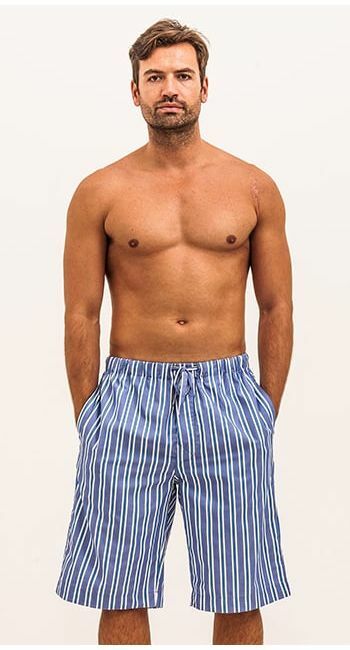 Men's classic cotton pyjamas in a smart dark blue and white stripe. Trousers also sold separately for those who prefer not to wear a jacket. Matching pyjama shorts available. British made.